Collect the system report on this machine. See Acronis Backup 12.5 and 12: Generating System Report or Acronis Backup 11.7/11.5: Generating System Report. Contact Acronis Customer Central with a reference to this article. Zip the dump file and upload it with the system report to the provided FTP account. See Uploading Files to Acronis FTP Server. 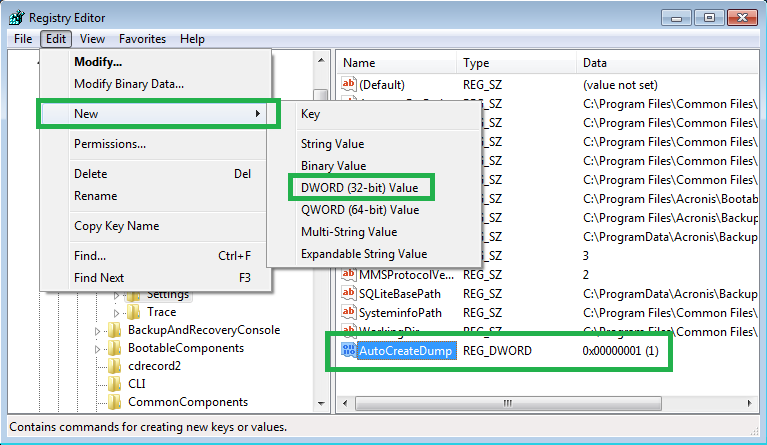 To disable the dump file creation, please set the AutoCreateDump registry key value to 0 (null).